All our MFL products are now available as a convenient single-purchase option: K the pack! We have big big BIG DEALS for you. 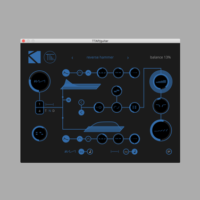 From now, you can get all our Max For Live devices buying the new bundle called K the Pack: with only 199€, you’ll get what normally worths €339. Now, this is already a great deal, but during these days it becomes just insane: price drops again! 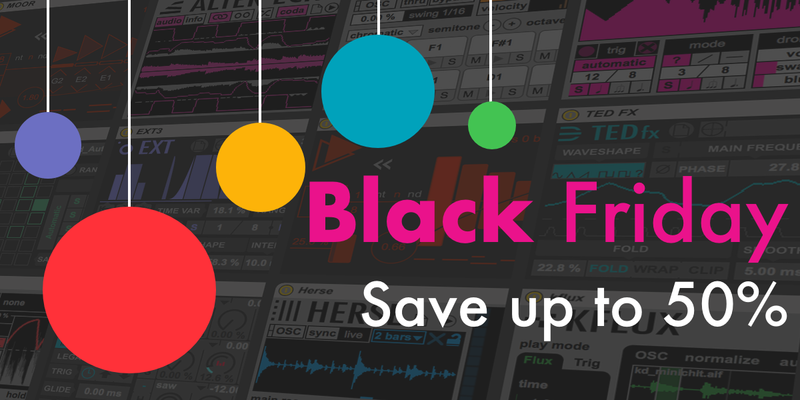 We are giving you an additional Black Friday discount of more than 50%, so you can get them all at €169 only! Ehm… €169, instead of €339! This bundle is the best option to get all the K-Devices MFL power at once, and now, now is the right time to get it!! Our iOS app, a modular multi-effect on steroids, working as stand alone, Inter-App Audio, and Audio Unit Extension, is now available for a limited time at just €3.49/$2.99 (instead of €6.99/$5.99). All these great deals are valid until Tuesday, November 28. Next PostWelcome OOG tools!! ...What's OOG?? Click here to receive news, special deals and content via email from us. K-Devides designs and develops innovative tools for music creation, since 2010.